I got a message the other day. It said “I’d like to make black bean soup, how please?”. 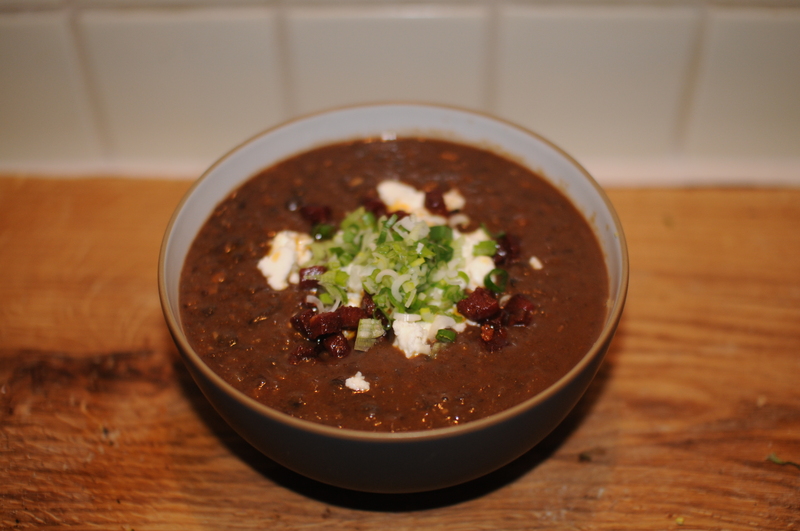 And it got me thinking, there are many recipes out there for black bean soup and many restaurants selling it, any yet, I’m not sure I’ve ever found a truly great one. Don’t get me wrong, there have been lots of good ones, but none that really blew my mind, they’ve always been lacking that certain something, that oomph. I also often find most of these kind of soups more like a puree which wasn’t what i was after here, i wanted something a little thinner. I wanted something spiced as well as spicy and deeply flavourful, and by golly, i think i’ve got it. I was thinking about what goes into making a good soup and, for me, more often than not, it’s what you put on it as much as what you put in it. Now, honestly I’m a pretty big fan of this soup on its own but the toppings just make it so much better. It’s also a goodie for a quick mid-week dinner as it’s super quick, cheap and it’s even healthy to boot, woop, jackpot. It’s also very easy to make it vegetarian, simply swap the chicken stock for veg stock and leave off the chorizo. I’m a little achey today given that yesterday, after months and months of talking about it, my friend and i finally went and did a salsa dance workshop. Having had a truly hilarious day, when we got back we were exhausted and starving and a hot bowl of this was just the ticket- well, that, a few glasses of prosecco and the bodyguard. I hope you enjoy it as much as we did. I feel that both this soup and the salsa-ing may be cropping up a lot in the near future…. 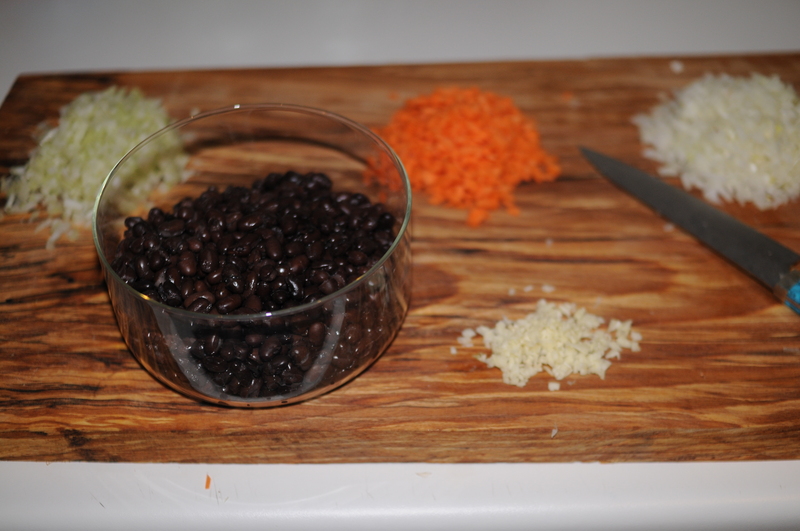 Finely chop the carrot, celery, onion and garlic and rinse the beans. Pop some oil in a pan (i use rapeseed) and fry off the onions, carrot and celery over a low heat for a few minutes before adding the garlic. Sweat everything down until soft but not coloured. Add the spices and the beans and stir so that everything is well mixed and coated in the spices. Then add the chicken stock, i used 2 organic chicken stock cubes dissolved in 750ml of water but if you have fresh stock to hand, obviously use that. Simmer until the beans are soft, about 10 minutes. 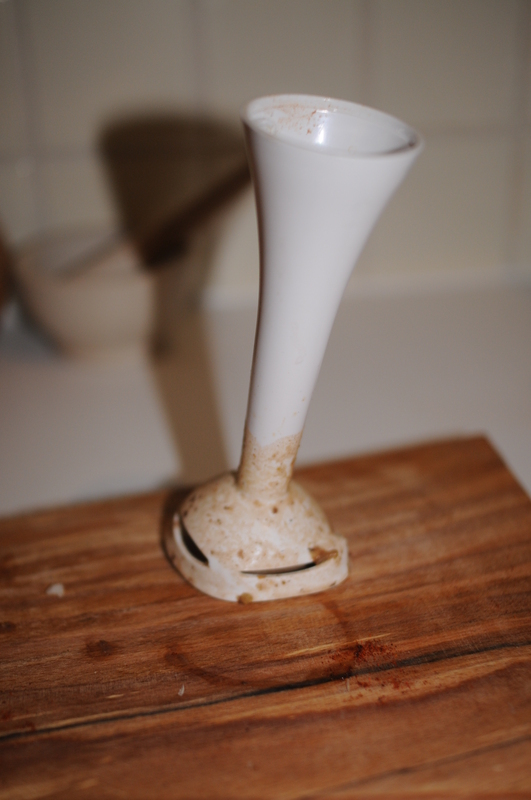 Then allow to cool a bit before blending with a stick blender until it’s about 3/4 blended. You want it mostly smooth but still with a few chunks for texture. Poor little thing, i don’t think it’ll ever be quite the same. 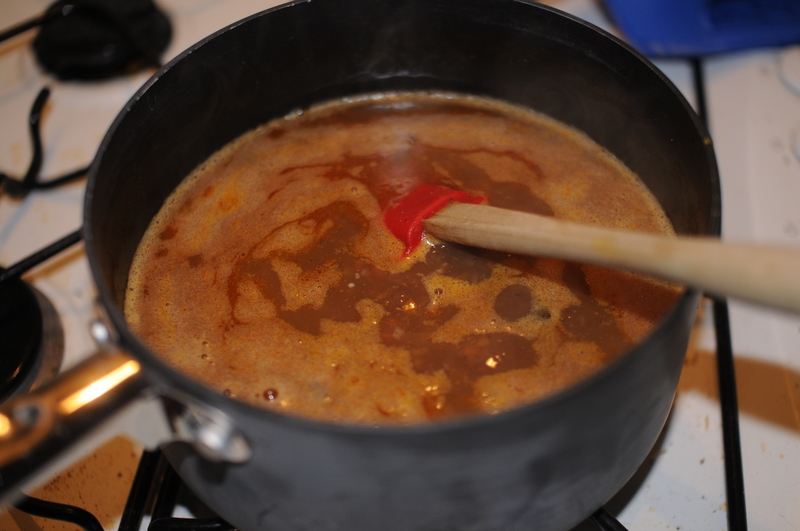 Once the soup’s blended, return it too the heat and simmer until it reaches a consistency you like. Fry some cubes of chorizo until golden and crisp, crumble up some feta and slice some spring onions and pile on top of your soup. Don’t scrimp on the toppings as they make an already delicious soup sooooo much better.